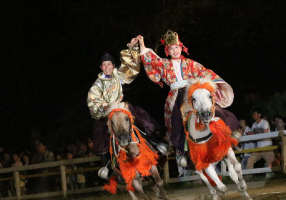 “Yatsugatake Horse Show” is one of the best horse show in Japan that is held at Kobuchisawa town in Hokuto City, Yamanashi. 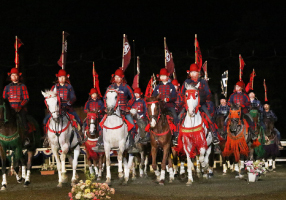 Kobuchisawa is a well-known town for horse breeding and local excellent equestrian clubs. 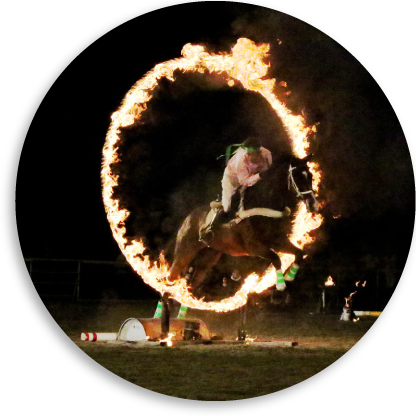 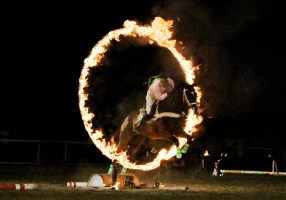 In this show, you can find great horse performances such as: The traditional Japanese Horse Drama, horse back archery, fire performance and more.